I love BBQ Shrimp!!!! And what I LOVE even more is dipping the bread in the sauce. SO GOOOD!!! 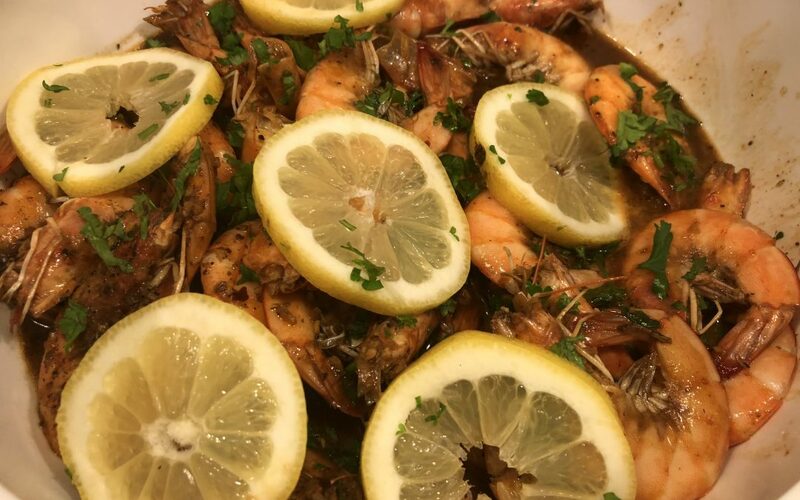 This time I wanted to try to make BBQ Shrimp without using my Road House BBQ seasonings or any other BBQ SEASONING …which you can buy from my links. I wanted to make them from scratch. 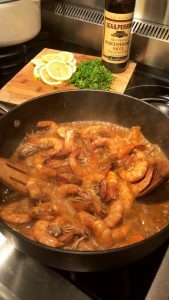 In a large skillet over medium heat, melt the 2 sticks of butter then add in the MARINATE UN-PEELED shrimp and all the seasonings that the shrimp was marinated in. Once the shrimp is in the skillet… spread them out so they are not on top of each other. Cook for 3-4 minutes then add in your wine or beer and lemon juice. Mix well….cook for another 5-6 minutes until shrimp is PINK. Turn off heat and remove skillet from heat. Place shrimp in a large bowl or platter and pour sauce over top. Sprinkle with chopped parsley and lemon wedges. Squeeze some more lemon over the top if you like. Serve IMMEDIATELY…with some Warm FRENCH Bread for dipping. 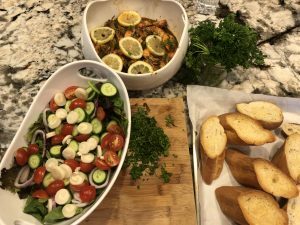 ****SEASONING accordingly to taste…some of you might like it more salty…or spicy…add more seasoning to your preferences. I usually add some chili to my dipping bowl because I like it SPICY.